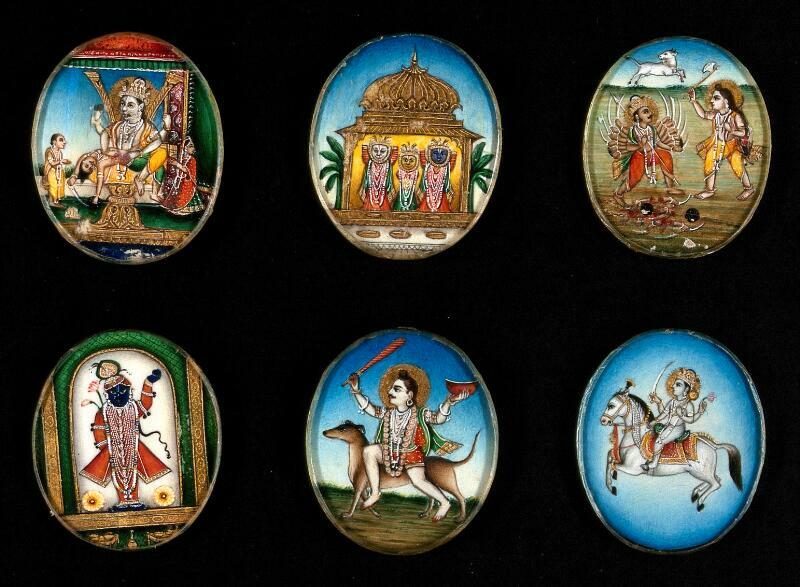 Six circular gouache paintings of Hindu gods. Top centre: Balarama, Subhadra and Lord Jagannath from left to right. Gouache painting by an Indian artist.